You are here: Home › Questions to ask before marriage? Make your mind set for marriage by understanding which relationship will work well for you. Will you accept each other as you are? Pressures play a major role over Bride or Groom during marriage since the factors Age, personal expectations, Parental expectation… plays its part, But don’t be in a hurry or do not be forced by circumstances to make the most important decision in your life. You have met your partner a couple of times and spoken so ask yourself that there is happiness in accepting the other person as your life partner. 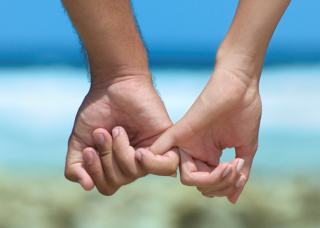 Are there shortcomings that may hurt your relationship later? Will both of you accept the other as they are, without having to make any changes. Do you have compatible values, interests and goals? If both of you have common values to share and cherish, a promising life lies ahead. Religious beliefs, child rearing, roles to play after marriage, views on family relationship, personal value systems, there needs to be broad acceptance on such things. Find weather your families comfortable with the marriage? 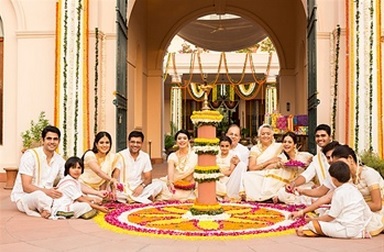 Traditionally, Indian marriages are between two families, more than between two individuals. It’s critical for you to work and gain acceptance from your family. Especially, if they’re going to be staying with you after marriage. Do you feel comfortable when you are with your Would-be? Not everything can be understood in a few meetings. But Nature provides each one of us with an innate gut feeling which most often can be relied on. If you feel at ease in the company of your intended partner, then you’re more likely to make a good pair. Are you feeling good in the company of prospective in-laws? 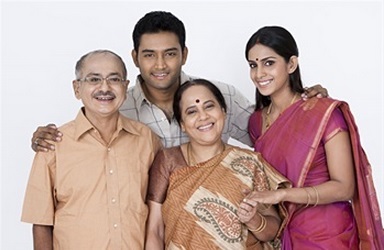 The blessings of in-laws are important for success in a couple’s life. How connected are you to them? Is there a sense of bonding and happiness when you meet them? Are you aware of their expectations from you? Are you aware of the responsibilities, post marriage? By marrying, you agree to be beside your partner during the long journey… loving, guiding and sharing the twists and turns of life. There’s also a responsibility towards parents and siblings. Besides, you’ll have to manage the expectations of the in-laws. Not to forget planning your own family, investing in a new home, taking your partner out and visiting in-laws and family regularly. Is there a deep need inside you for companionship? Finally, a very important discovery needs to be made. Are you feeling the need for love and companionship at this point in life? Do you want an anchor in a companion? Are you ready for marriage? If your marriage is driven by the longing for someone who cares for what you love, then your foundation is strong. Go ahead! Marriage is the most important decision you’ll make in your life. Take time to understand the meaning, be aware of the responsibilities and take a firm step.